Johanna Timmer, the founder and owner of Yoek, was born in Amsterdam and ever since she was a young girl she had an undeniable passion for fashion. She grew up in an entrepreneurial family; her father had a flower shop and her mum was head seamstress at Hirsch & Cie, a classy fashion house for ladies from the elite. At the age of seventeen, Johanna finished her Business Education studies focused on retail when she was discovered as a model. Immediately, she started working as a model, travelling around the world. After a while she saw an opportunity in exchanging her modelling career for something she longed for much more: putting her retail knowledge into practice now she also knew much more about designing, the production process and fitting. This because, as a European size 36, she fitted in the creations of all designers she worked for. But she also noticed that ‘larger sizes’ were much more difficult to buy in the countries she worked in, like France and Italy. Johanna started working as a fashion agent and gained more professional knowledge about the fashion industry. The brands which focused on fashion for larger sizes, were either old-fashioned or dull. She saw a chance here and followed her heart, by launching her own plus size label in 1985. 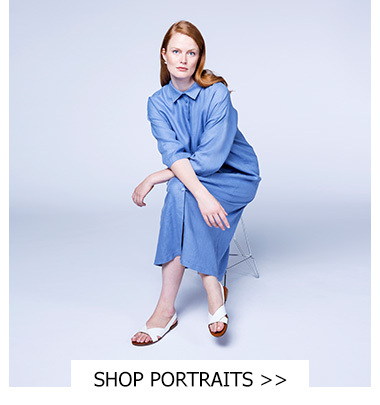 The label did not focus on producing large quantities like all other brands, Johanna wanted to design pieces she loves herself, beautiful styles with a perfect fit and in high quality fabrics. She conquered the plus size fashion market with her brand, going against the trend of slim sizes. After several years, designer and stylist Chantal Smits joined the company. After graduating from her Montaigne fashion studies, she started working for Johanna. Now, many years later, Chantal is Yoek’s co-owner and she and Johanna are designing all collections together. Their never-ending passion is visible in every collection, which went from four to twelve collections a year. Not just a main winter and summer collection, but also a high summer, mid winter, and a resort and flash collection. Besides the main Yoek brand, two other brands have been launched; a chic Black Label collection which is available throughout the entire year, with dazzling cocktail dresses and voile tops, making women feel like divas. And the second brand is Miss Y loves Yoek, an it-girl collection as Yoek's little sister focusing on plus size clothing for young women: sporty sparkle with a pop of sugar. 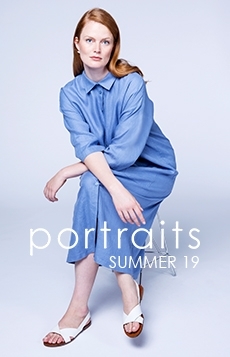 In 2018 Yoek added a new chapter to its succesful story; a minimalist aesthetic label named PORTRAITS was added to the range of collections. Throughout the past three decades, Yoek developed into a quality brand for all fashion loving women with a plus size, creating fashionable clothing with a feminine flair. The team of Yoek has a clear idea what fashion in size 38 up to size 58 should be: clothes which do not hide the figure, but make every woman look and feel wonderful as well as confident. The fashion brand as it is today, has been Johanna’s dream; she loves that with only a few ingredients, you can make people so much happier and beautiful. Besides the great amount of retailers selling the Yoek brands, Yoek launched her own international online store in 2011. The entire Yoek collection is available online and the team does its utmost best to provide great personal service, just as one would get in physical stores. You can order from all around the world, ask the personal advisor all your fashion-related questions and stay up-to-date by receiving the latest style updates and promotions directly in your inbox. From designing the collections, to the fashion shoots and creating the brochure, everything happens in-house at Yoek. The head office with its showroom is located near Amsterdam, the capital city of The Netherlands. The Yoek team is divided into several departments; design, production, wholesale, accounting, logistics, online & marketing. Our fresh, new magazine blog shares sneak-peeks and behind-the-scenes posts!